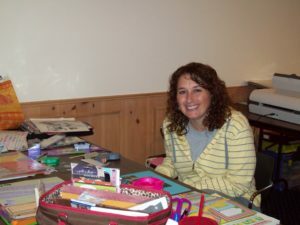 Harbor Springs ~ Petoskey Scrapbooking, Card Making and Craft Retreat Weekend is so much fun! Spend hours on end making beautiful projects, get ideas from others who attend & meet new friends who love to scrapbook and craft as much as you do. You will feel right at home while staying in a Trout Creek Condominium. 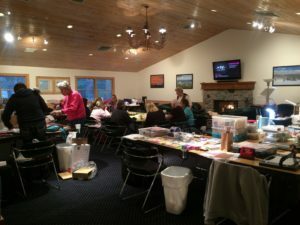 Our Scrapbooking and Craft Retreats are so different than any others you may have attended. With the intimate & casual atmosphere, you can even feel free to wear your sleep pants & slippers…go for it! We limit the number of scrappers so you can work comfortably, visit with your friends, and make new ones. Come Early! Arrive Thursday for no additional charge and get set up in the clubhouse. That way you can be ready to get started early Friday morning. Use of equipment at the fitness center. Scrap until midnight Friday & Saturday. Pizza party Friday evening, breakfast Saturday & Sunday, lunch Saturday, and snacks all weekend long. ** Prices include all taxes and fees. **These prices are samples of group sizes. For example…a 1 bedroom condo could sleep 2 people so the cost would go down. Just let us know what works for you. ** If you would like to add Thursday night…you are welcome to do so for FREE! Just let us know! 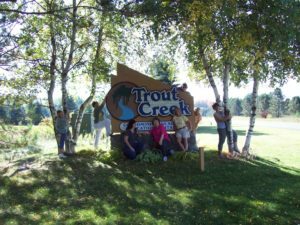 Would you return to Trout Creek? Absolutely, we're already planning on coming in the fall! Yes & not just for scrappin – will bring my family! Molly (the masseuse) was excellent! Every staff member is so pleasant and helpful!